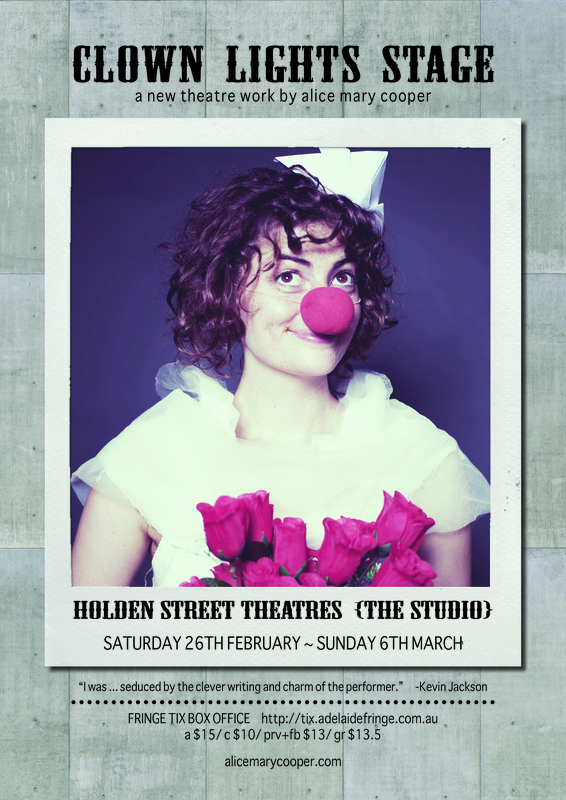 Filmed at Studio 505, Hibernian House as part of the Sydney Preview of Clown Lights Stage (17th – 19th Feb). This entry was posted in Clown Lights Stage, Fringe 2011, Projects I Help With, Theatre and tagged Alice Mary Cooper, Clown Lights Stage, Holden Street Theatres, Theatre. Bookmark the permalink.